Marvel’s Infinity War has finally arrived. And the superhero cinematic universe will never be the same. Bring your shocked faces. Because I gots spoilers. Kinda. 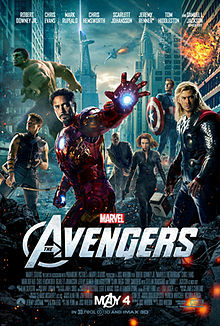 Saw The Avengers late last night and twelve hours later… I’m still catching my breath! The movie was fantastic–frackin’ fantastic. I’ve been pretty cynical lately about comic book flicks. With the stellar exceptions of Watchmen and The Dark Knight series, I’ve placed recent comic or graphic novel remakes into three categories: decent, lackluster or WTF? Iron Man, Captain America and Thor, ranked among my decent. These were okay movies with all the required action, though they didn’t rise above my expectations. I walked out feeling I’d gotten my money’s worth, but wasn’t itching to see either again. The Hulk and X-Men First Class, I found rather lackluster. There were superheroes so that was nice, but otherwise the storyline and plot earned a rating of “meh.” Wolverine, Green Lantern and Ghostrider were so god-awful, I left the theater wondering how a few screenwriters could so mangle a winning popular comic book? I mean, straight up guys, WTF!?! So what made the Avengers different? What did the film seem to “get” that so many of their recent counterparts hadn’t? More, after the jump. But be warned…there be SPOILERS!